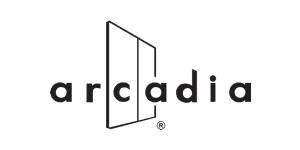 Arcadia is a leading single source supplier of architectural building products, including curtain wall, storefront, entrance and windows.Arcadia’s passion developed 80 years ago to provide the architectural community a source to assist the preparation of both clearer drawings and project specifications. The type of knowledge, experience and passion that Arcadia embodies serves as the framework for their commitment and service to the design community. Arcadia offers a considerable source of expertise in architectural glazing systems, and can design custom solutions that will help you to realize your most challenging concepts.